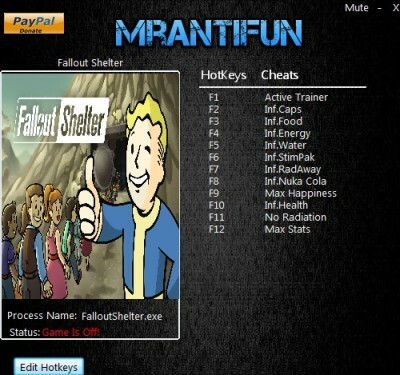 In this article you can download Fallout Shelter (PC) cheats. This trainer +12 has been created by MrAntiFun for game version 1.6. All cheats on our site you can download without registration, so this hack available for download free. With this trainer you will get the advantage in your game. But first, a bit of information about the game. 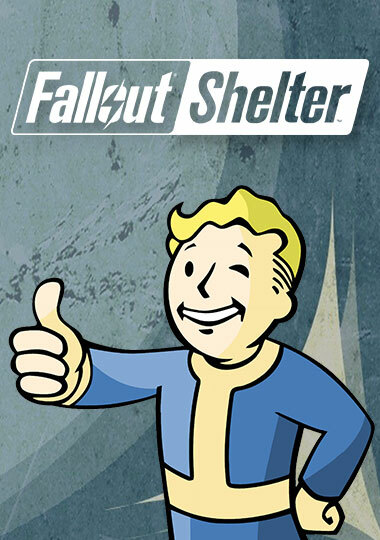 As promised in June, Bethesda’s underground vault simulator Fallout Shelter is now available for Windows PC. A new update which adds quests to the game is also available, allowing players to leave their vaults for the first time. Previously, players taking on the role of vault Overseer could send their dwellers outside on supply runs, but could not follow those dwellers on their journeys. Update 1.6 adds the option to take control of vault dwellers to explore areas that Fallout players will be well-acquainted with, like Super Duper Mart, Red Rocket Fuel Stop and other neighboring vaults.